JOY DIVISION - CLOSER, 2015 EU 180G vinyl LP + MP3, NEW - SEALED! 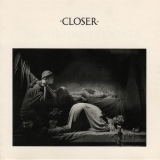 Closer is ranked 2nd best out of 12 albums by Joy Division on BestEverAlbums.com. The best album by Joy Division is Unknown Pleasures which is ranked number 34 in the list of all-time albums with a total rank score of 50,215. Members who like this album also like: Unknown Pleasures by Joy Division, Wish You Were Here by Pink Floyd and London Calling by The Clash. Related links: top tracks by Joy Divisiontop tracks of the 1980s, top tracks of 1980. Marco da época. Influencia tanto na lírica quanto no som. Somewhere in this album, there was inserted the last breath of Ian Curtis, this one has a more introspective overall sound than unknown pleasures, and less confined production. Nowhere near as great as Unknown Pleasures. Side two of this album is absolutely amazing! This album is really nice, the first 6 tracks are varying degrees of good, all of them would make an album worth listening to, but the last 3 tracks are amazing and make his a must listen. Unique sound. Curtis wears it all on his sleeve. Canzoni superbe, suoni calibrati in maniera perfetta, uno scandagliare l'oscurità della musica e dell'animo umano che non è mai stato ( e credo mai sarà ) così riuscito. DEFINITIVO.